Around the time when Eric Clapton’s unplugged performance brought tears to anyone who’d lost a child and Toni Braxton attracted the attention of Babyface with her sad love songs, Julián Esteban Torres López began to take storytelling seriously at Broad Street Elementary School in Nashua, New Hampshire. It was there he first gained recognition for writing when he took home the Best Single and Best Songwriting awards in his 6th grade’s rendition of the 1993 Grammys. The experience taught him the power of the spoken word, as he serenaded M.C. Jessica D. with his award-winning hit, “Loneliness,” set to a Boyz II Men melody. 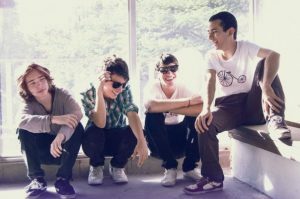 He’s since lost his elementary school little boy charm and grown out of his falsetto, but has continued to develop his writing. As an adult, Julián has expanded his repertoire, publishing essays, poetry, fiction, newspaper articles, creative nonfiction, interviews, and memoirs along the way. Find below a sample of future, current, and past publications and recognitions. Julián has another book coming out in 2019—a collection of articles he wrote as an academic and journalist reporting on Colombia between 2009 and 2013. 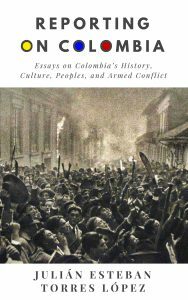 Reporting on Colombia: Essays on Colombia’s History, Culture, Peoples, and Armed Conflict. 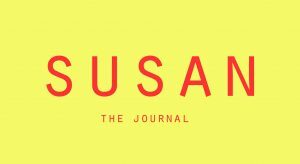 Most recently, Julián published interviews, creative nonfiction, poetry, flash fiction, and a long-form philosophy essay on humanism and revolutionary violence. “Foreword,” for Nicole Zelniker’s book Mixed, published by The Nasiona, March 2019. “Words from Elsewhere,” column in The Nasiona Magazine, Issue 6, January 2019. 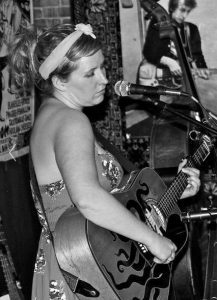 “The Tall, Tall Tales of Heidi Harris,” interview in The Nasiona Magazine, Issue 6, January 2019. 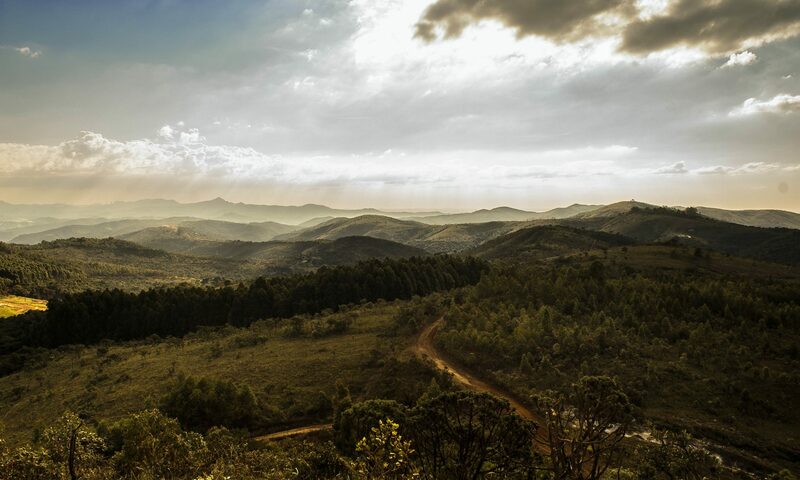 “Search for an Honest Man: Interview With Adriaan Alsema of Colombia Reports,” in The Nasiona Magazine, Issue 4, November 2018. “La Loca Del Kuuchamaa: Interview With Mireya Vela,” in The Nasiona Magazine, Issue 3, October 2018. “Nepali Chhori: Interview With Richa Pokhrel,” in The Nasiona Magazine, Issue 2, September 2018. “When You Rise: Interview With Jim Cavan,” in The Nasiona Magazine, Issue 2, September 2018. “Memory Unfolded: Interview With John Z. Guzlowski,” The Nasiona Magazine, Issue 2, September 2018. 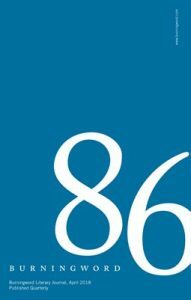 “The Ultimate Poem is Abstract and We Are All Foreigners,” creative nonfiction piece in The Nasiona Magazine, Issue 2, September 2018. “Foreignish: Interview With Yaldaz Sadakova,” The Nasiona Magazine, Issue 1, August 2018. “Rain Date,” a poem published in SUSAN / The Journal, August 2018. “The Obituaries Editor,” flash fiction piece in award-winning literary magazine Into the Void, Issue 9, July 2018. 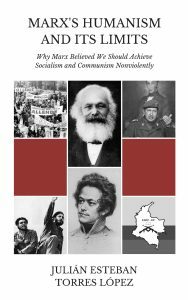 Marx’s Humanism and Its Limits: Why Marx Believed We Should Achieve Socialism and Communism Nonviolently, paperback and eBook editions on Amazon, May 2018. “Colorful,” flash fiction piece in Burningword Literary Journal, Issue 86, April 2018. 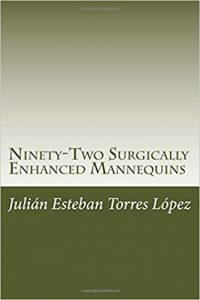 Ninety-Two Surgically Enhanced Mannequins: A Micro-Poetry Collection, paperback and eBook editions on Amazon, February 2018. 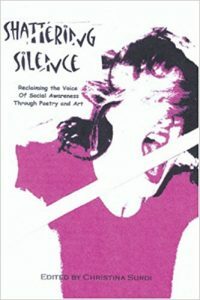 Julián published poetry in several journals, among them Aegis, Channillo, Bleach Magazine, Gentle Strength Quarterly, The WRIToracle, Colombia Reports, and the anthology Shattering Silence: Reclaiming the Voice of Social Awareness through Poetry and Art. Julián was a spoken word artist from 2000 to 2010, was part of the University of New Hampshire Slam Poetry Team in 2003, and also recorded spoken word pieces in two audio anthologies and one debut album. Harmony Conspiracy: A Poet’s Proposal, three tracks included in spoken word anthology, produced by The Artists’ Circle, 2003. Dirty Laundry: The WRIToracle Poets, three tracks included in spoken word anthology, produced by TheWrit, 2007. 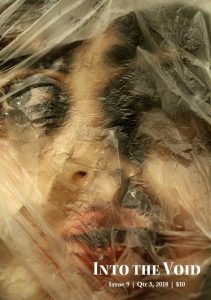 Sfumato: A Decade of Spoken Word, twenty tracks, self-produced, 2011. He recently mixed (with instruments and soundscapes) a surrealist piece called “The Wind” he originally recorded during a live 2003 performance in Durham, New Hampshire. Julián had columns in Little Colombia Observationist (blog on observations about daily life in Colombia), Heavy Words (online journal for informative, analytical, and creative columns on culture, politics, ethics, current events, and the arts), and Colombia Reports (Colombia’s largest and most reliable news source in English). He published pieces on culture, politics, ethics, war, conflict resolution, current events, history, and the arts. Find below a selection of articles. 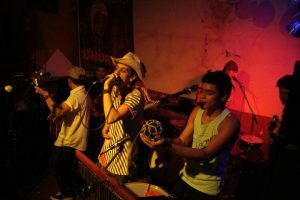 “How Colombians stand in their own way,” Colombia Reports, 22 May 2012. 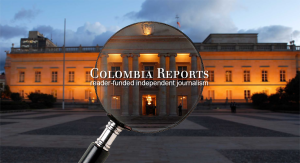 “Hope in the time of Colombia,” Colombia Reports, 26 March 2012. “Colombia’s ‘obligatory’ military service: The arbitrary role of class disparity,” Colombia Reports, 25 July 2011. “Save the water for a rainy Colombian day,” Colombia Reports, 31 May 2011. “Where have all Colombia’s disappeared gone?” Colombia Reports, 28 March 2011. “What does it mean to be Colombian?” Colombia Reports, 19 October 2010. “On behalf of Colombia’s war children,” Colombia Reports, 20 September 2010. “Uribe’s pact of silence violates academic freedom,” Colombia Reports, 13 September 2010. “Uribe’s empty apology,” Colombia Reports, 6 September 2010. “Colombia, 1757: Birthplace of America’s abolition of slavery,” Colombia Reports, 26 August 2010. “Curious vs. Certain Dispositions in Dialogue: Roadblocks and Pathways Toward Understanding and Clarity,” The Dialectic, University of New Hampshire Philosophy Journal, April 2004. “Art is Indefinable,” First Place, Rudy Dusek Essay Prize in Philosophy of Art, University of New Hampshire, 2001-2002. “Knowledge of Self-Innocence,” Take 1, Vol. 8, Rivier College’s Department of English and Communication Journal of Outstanding Freshmen Essays, Spring 2000. “Last Words,” Shortlisted Finalist, Okanagan Short Story Contest, University of British Columbia Okanagan, 2009. 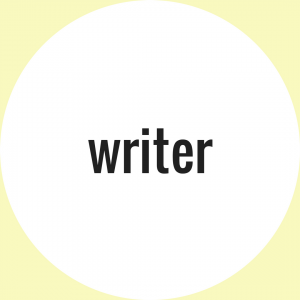 Short story manuscript selected (1 of 6 UBC Okanagan students/community) for one-on-one critique with Writer-in-Residence, Fred Stenson (a Giller Pirze finalist), 2009. From August 2013 through November 2015, Julián wrote 1000+ legend captions for historical photos that were used in nearly 150 graphically-designed community murals throughout the U.S., for Wells Fargo’s Community Mural Program. The program’s mission is to create unique custom-designed historical artwork that respects the community’s legacy, celebrates its diversity, and honors the past upon which the community was founded. Julián worked with historical societies (local, county, state, and national), libraries, and archives to (a) discover the stories that represented each specific community’s legacy, and (b) to be able to write the captions. Find a sample below of a legend with captions and design (by Anne Marie Lapitan) for a mural that commemorates the 50th anniversary of the Civil Rights Act. 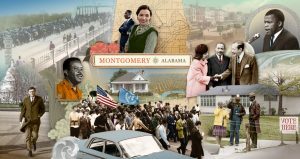 The mural and legend depict the struggles and triumphs in Montgomery on the road to racial equality, bringing pivotal moments in the Civil Rights Movement to life. Montgomery, Alabama, Civil Rights Movement mural, designed by Anne Marie Lapitan. Research, image acquisition, and legend captions by Julián Esteban Torres López. 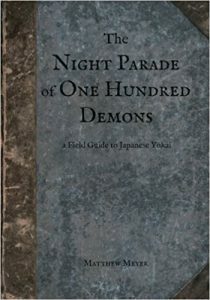 w/ illustrator, folklorist, and author Matthew Meyer, “The Night Parade of One Hundred Demons: A Field Guide to Japanese Yokai,” Surgically Enhanced Mannequin, April 2012.
w/ fun, folkloric, Colombian-fusion band Calavera y la Popular Independiente, Little Colombia Observationist, July 2011. Director of short film documentary on singer-songwriter Liz Parmalee, Remember the Tall Grass, produced by Wet Paint Café, Durham, New Hampshire, 2003.